I can’t remember a time in my life when I didn’t love books. I relish the feel of them, the smell of them, and the knowledge and entertainment they contain. Words are my friends. Whether in a book or an article, they have great power. I attempt to use that power for good in my work as a writer. As an editor and copywriter, I enjoy the opportunity to help others share their ideas in the best possible way. My undergraduate degree is in history and art. After graduation, I worked in higher education administration for several years while attending graduate school in the evenings to earn a master’s degree in applied theology. I defended my master’s thesis when I was eight months pregnant with my first child. The following year, I had a second son. A daughter would join our family eight years later. I was searching for a way to utilize my education and talents while staying home to care for my young family. Through much prayer and consultation with a spiritual director, I discerned that I was called to write. Lisa Hendey from CatholicMom.com was the first editor to give me the opportunity to share my work and I have been writing for her website ever since. Over the course of the past fifteen years, I have been blessed to write for several online and print publications including Catechist, Today’s Catholic Teacher, Baystate Parent, Seton Magazine, Publisher’s Weekly, Catholic Library World, Canticle, and US Catholic. I am a prolific book reviewer with over 600 reviews on Amazon and my blog, https://spiritualwomanthoughts.blogspot.com/. I have also served as a judge for the Catholic Arts and Letters Award as well as the Association of Catholic Publishers Book Awards. Writing led to the opportunity to be an editor. 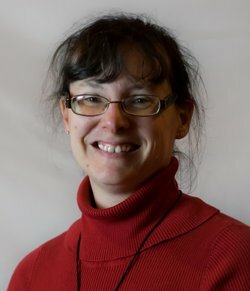 I served as an Associate Editor of CatholicExchange.com and then Senior Editor of CatholicLane.com before starting my own website, TodaysCatholicHomeschooling.com, and working for private clients. I have been homeschooling my children for the past ten years and am active in the Catholic homeschool community. In my spare time, I enjoy drawing, quilting, and taking long walks.